On June 28, 2016 the ASSOCOMAPLAST Members’ Assembly took place at Relais Franciacorta in Corte Franca (BS). 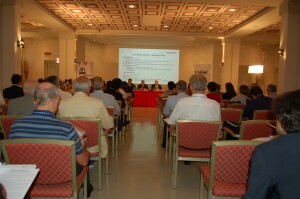 The assembly met to discuss topics such as new articles of the Association and revised guidelines. Elections were also held for the Executive Committee and the Board of Statutory Auditors for the period 2016-2018 and for the Panel of Arbitrators for the period 2016-2020. As Members of the Committee have been elected: Mauro Drappo (AMUT), Maria Grazia Colombo (BFM), Gianni Luoni (ELBA), Alessandro Balzanelli (F.B. BALZANELLI AVVOLGITORI), Anthony Caprioli (MACCHI), Tiziano Caprara (NEGRI BOSSI), Dario Previero (PREVIERO N.), Gabriele Caccia (SYNCRO), Corrado Zanga (UNILOY MILACRON).